When Ronald Chavarria and wife Jazmín Lopez, visit the Gilberto Siles school in the Masaya region of Nicaragua, they are met with a joyful rush of students. 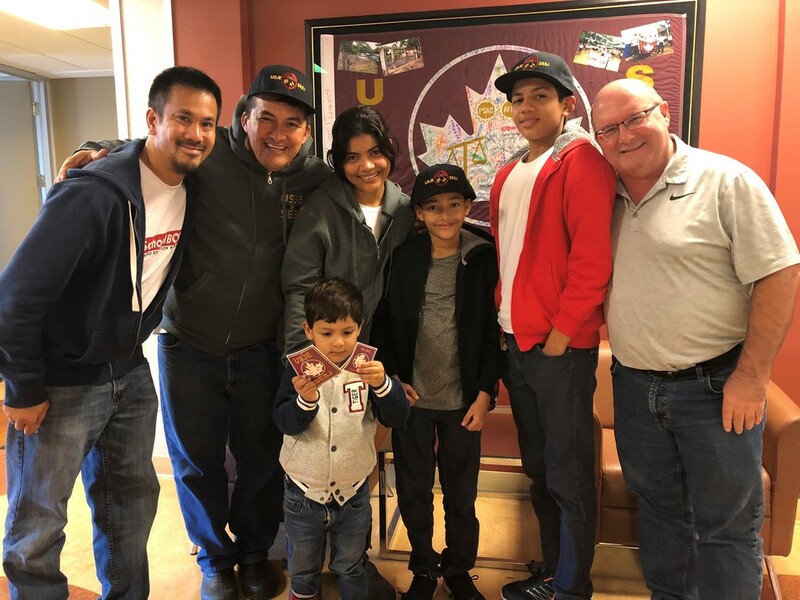 On a recent fundraising trip to Canada, Ron, Jazmín and their three young sons met with USJE President Stan Stapleton to express heartfelt thanks for USJE funds that helped build the school for 83 students ranging from kindergarten to Grade six. “Your union has helped us greatly and helped the state of education in our country,” Ron affirmed. USJE also recently provided funds to ease the financial strain of SchoolBOX employees and their families who have been unable to work. Since April, widespread civil unrest has made travel to partner communities dangerous for staff. As a result, SchoolBOX was forced to suspend building programs until employees can safely return to work. The Gilberto Siles school is one of 100 classrooms SchoolBOX has erected across Nicaragua. For more than 30 years, parents in the rural Masaya region struggled to provide basic education to their children in two dark, crowded and dusty makeshift shelters. Bright and airy, the USJE-funded school now provides a clean, safe and learning enabled environment for students. Stan had the opportunity to meet Gilberto Siles’ teacher and students when he and other USJE members traveled to Nicaragua last year to help construct another SchoolBOX school. According to Ron, the USJE president has not been forgotten. “The kids are always asking, ‘Where’s Stan?” he smiled. 50 per cent of children in rural areas don’t reach Grade six. Young drop-outs start families or work in informal jobs – a cycle, SchoolBOX wants to break. 60 per cent of students reach high school, but less than half of those go on to university. Only half of all students who start post-secondary studies will finish.